09/19/17 Engine Volkswagen group of america, inc. (volkswagen) is recalling certain 2017-2018 audi a3 cabriolet and a3 sedan vehicles. the engine control unit (ecu) software may misinterpret the flywheel rotation on engine start-up as a "knocking" condition, and the adjusted air/fuel mixture may result in an engine stall. 06/16/15 Engine Volkswagen group of america, inc. (volkswagen) is recalling certain model year 2015 volkswagen golf, and gti manufactured on february 17, 2014, to may 22, 2014, and audi a3 manufactured on february 16, 2013, to april 23, 2014. improper nickel plating of components within the fuel pump may result in the fuel pump failing. 02/14/17 Brakes and Traction Control Volkswagen group of america, inc. (volkswagen) is recalling certain model year 2009-2010 volkswagen jetta a5 sedan, 2009 volkswagen jetta sportwagen, eos, gti, rabbit and audi a3 vehicles, and 2010 volkswagen golf a6 vehicles. the antilock brake system (abs) control unit may fail during abs or electronic stability control (esc) activation, possibly causing a loss of vehicle control. Volkswagen will notify owners, and dealers will update the abs control module software to improve the module's self-testing abilities. any module that fails the new diagnostic test will be replaced. these repairs will be made free of charge. the recall began february 2017. owners may contact volkswagen customer service at 1-800-893-5298. 02/29/16 Electrical and Air Conditioning Volkswagen group of america, llc (volkswagen) is recalling certain model year 2015 audi a3 cabriolet vehicles manufactured june 5, 2014, to april 1, 2015. the affected vehicles have a driver or front passenger seat whose cover may be incorrectly stitched, preventing the side air bag from properly deploying in the event of a crash. 08/31/06 Electrical and Air Conditioning On certain passenger vehicles, during production of the air bag, either the left or the right side curtain air bag inflation module may leak. In the event of a crash, the air bag may not inflate as designed increasing the risk of injury to a seat occupant. Dealers will replace the side curtain air bag free of charge. the recall began on august 31, 2006. owners may contact audi at 1-800-822-2834. Volkswagen recall no. jp.customers may also contact the national highway traffic safety administration?s vehicle safety hotline at 1-888-327-4236 (tty 1-800-424-9153), or go to http://www.safercar.gov. 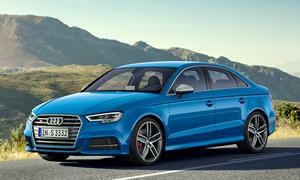 06/23/17 Other Volkswagen group of america, inc. (volkswagen) is recalling certain 2015 audi a3 1.8t fwd s tronic and 2.0t quattro s tronic vehicles. the safety certification label has an incorrect vehicle production date. as such, these vehicles fail to comply with the requirements of 49 cfr part 567, "certification." 02/29/16 Other Volkswagen group of america, llc (volkswagen) is recalling certain model year 2015 audi a3 cabriolet vehicles manufactured june 5, 2014, to april 1, 2015. the affected vehicles have a driver or front passenger seat whose cover may be incorrectly stitched, preventing the side air bag from properly deploying in the event of a crash.